What’s that? You say your favorite movie is Black Swan, and you’re waiting for the postman to deliver yet another colored-vinyl variant of M A N I A? 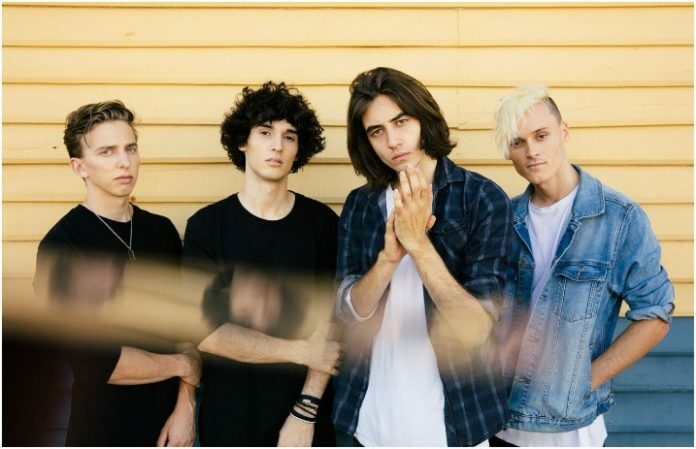 Well, check this out: Today AP premieres the new video from Australian pop-rock princes-in-waiting, the Faim. 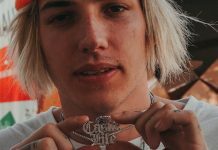 Produced by the inimitable John Feldmann and co-written with Pete Wentz, “Saints Of The Sinners” is a tough pop track that finds lead vocalist Josh Raven hitting notes in that rarified stratosphere where Brendon Urie stops to have coffee, as the rest of the band (and mysterious dancing doppelgangers) bound all over the warehouse set around him. 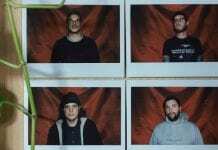 Stephen Beerkens, the band’s bassist and keyboardist, says the song is about “making your mark in the world, and not letting anyone stand in the way of where you want to be. 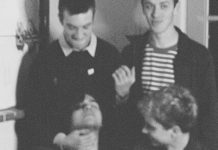 It brings out the youth-fuelled rebellion of the voice in all of us that wants to be heard.” And with folks such as Feldmann and Wentz alongside Travis Barker (Blink-182), Josh Dun (twenty one pilots) and Andy “Andy Black” Biersack coming in and out of their orbit, there’s no doubt that the Faim are going to be heard everywhere. The band—who also include guitarist/keyboardist Michael Bono and drummer Sean Tighe—will have their stateside debut released later this year. However, they’ll be spending April and May playing shows in both the U.K. (with Lower Than Atlantis) and in Australia (in support of Sleeping With Sirens). When you’re done checking out the video, you can stream/purchase the track here.